Hey, holiday shoppers. 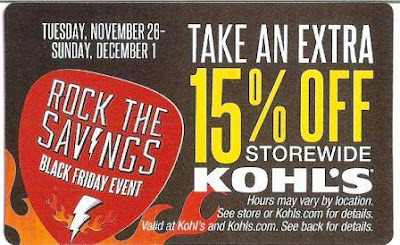 If you’re hunting for bargains on holiday gifts and other purchases, be sure to grab this 15% off store-wide coupon for Kohl’s. 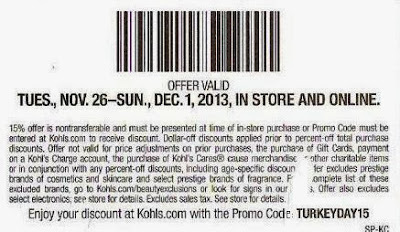 Use it in the store, or online. The online code is TURKEYDAY15. Print out this page, and take it along to the store. Or simply return to this page, using your smart phone or tablet, while you’re in the checkout line at the store. The cashier can scan the bar code from your device. 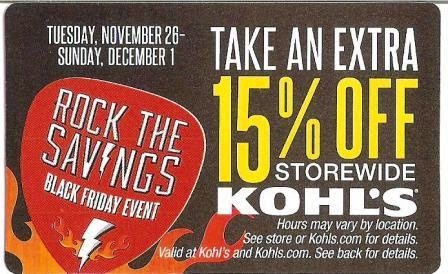 This Kohl’s coupon is good through Sunday, December 1st. Bookmark Practically at Home, or follow this site, so you can c’mon back and find lots more tips on bargain hunting, holiday how to’s, and much more. Disclaimer: I am neither employed nor affiliated in any way with the merchant mentioned here. I received no remuneration or compensation for this post. 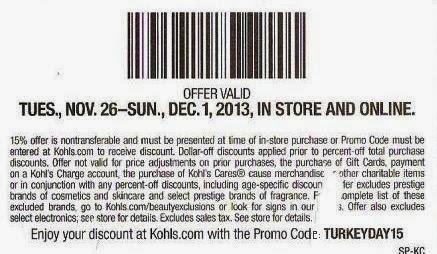 Just passing along a special deal , so others may save while shopping.